Using your iPhone to live stream on YouTube while walking down the street or commuting to work? Or just watching what others have uploaded? If you’ve ever experienced buffering or even disconnects when streaming YouTube content, it’s time to solve the issue. Enjoy hassle-free YouTube streaming and get rid of all related issues on your iPhone. Why Do I Get YouTube Streaming Issues on My iPhone? The YouTube app uses the active Internet connection on your iPhone. Whether you’re commuting by bus, train or just walking down the street, you probably use public WiFi networks. As you move around, the signal strength of the WiFi hotspot you’re connected to will change, resulting in a change in speed performance. When you’re nearing the edge of a WiFi hotspot, you will most likely get an Internet connection that doesn’t work. During all this “waiting” time, YouTube will not be able to load and stream your videos. Or send data to their servers, if live streaming. Seeing a Pattern of YouTube Streaming Issues on Your iPhone? In this case, as you get away from the hotspot, your speed drops and YouTube will encounter streaming issues. It will keep buffering or even disconnect until your iPhone switches to cellular. This way, EdgeWise rescues you from bad WiFi hotspots and connection gaps. You will not need to waste time to troubleshoot YouTube video streaming issues on your iPhone! Why Should I Get EdgeWise to Fix My iPhone YouTube Streaming Issues? Does EdgeWise Rescue My YouTube Streaming for Free? EdgeWise is free to use for 3 hours per day. 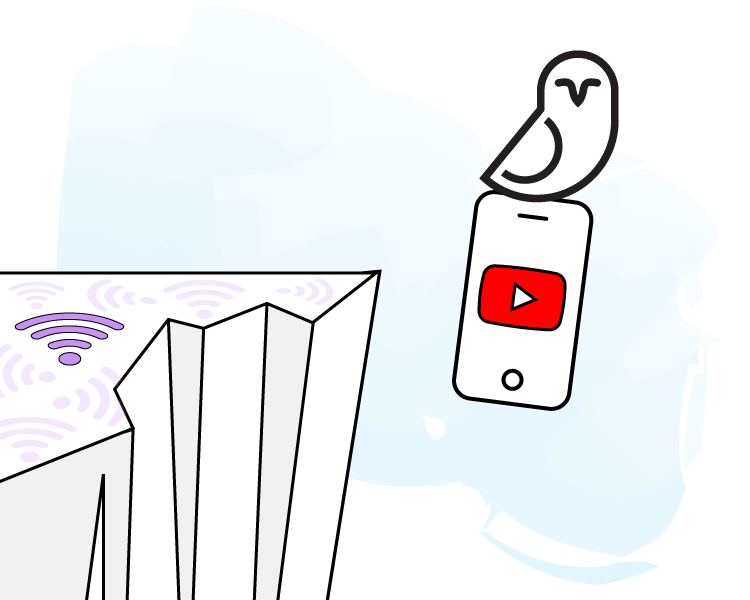 If you need us to rescue your YouTube connectivity 24/7 or you want to help save owls, get a monthly or yearly subscription starting at $1.66 / month.